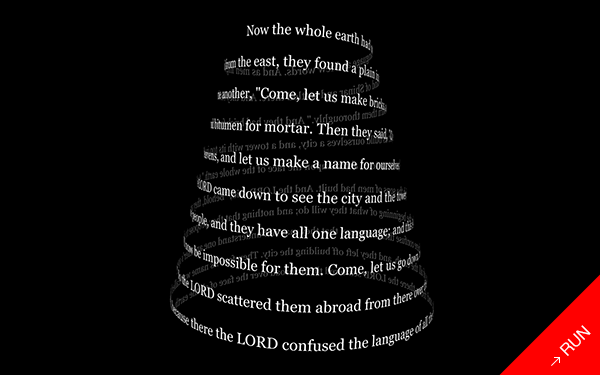 Taking the biblical passage mentioning the tower of Babel (Genesis 11:1-9) and wrapping it around a helicoidal path, allowing to read the text by rotating it indefinitely. • The first iteration of this program was a Java applet created in 2003 with Processing. • In 2010, the program became an iPhone application.